Hi dearies! How's everyone doing lately? Christmas is just around the corner but honestly speaking I can't feel the cold breeze yet. It's still very hot and humid in the afternoon, right? I'm excited when ber months arrive because cold weather for me means less oiliness and pimples. Do you feel the same? I don't want to blame the weather but in my experience, excessive sweating on my scalp and forehead leads to a pimple of two at the end of the day. That's how sensitive my skin is. Did you know that Acne affects 80 percent of teenagers and 40 percent of adults worldwide. While this chronic inflammatory disease is treatable, making effective treatment to solve the condition is essential not only to smoothen the skin but also boost a person’s confidence. This is why when you have a pimple you want to hide it, conceal it, and when it dries, you want the dark marks and blemishes disappear because it can lower self-esteem. 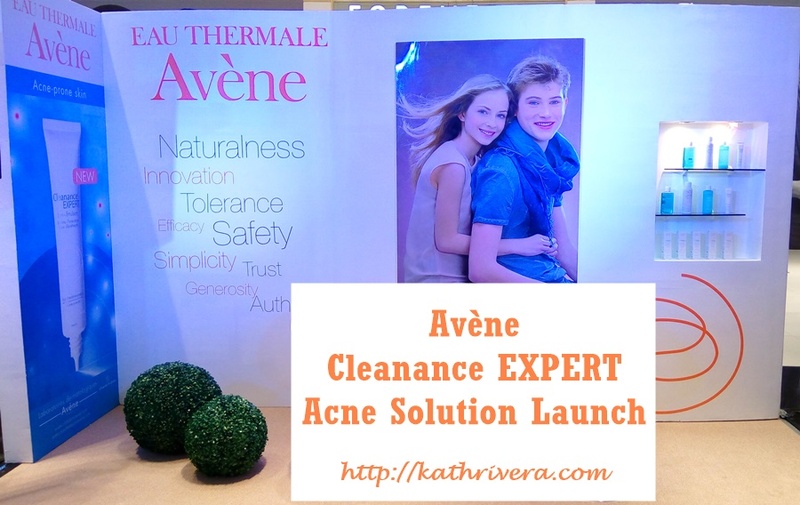 I was very privileged to be invited to the launch of Avene Cleanance EXPERT Acne Solution last October at the ground floor of SM Department Store, Makati City. More details about the product line below. 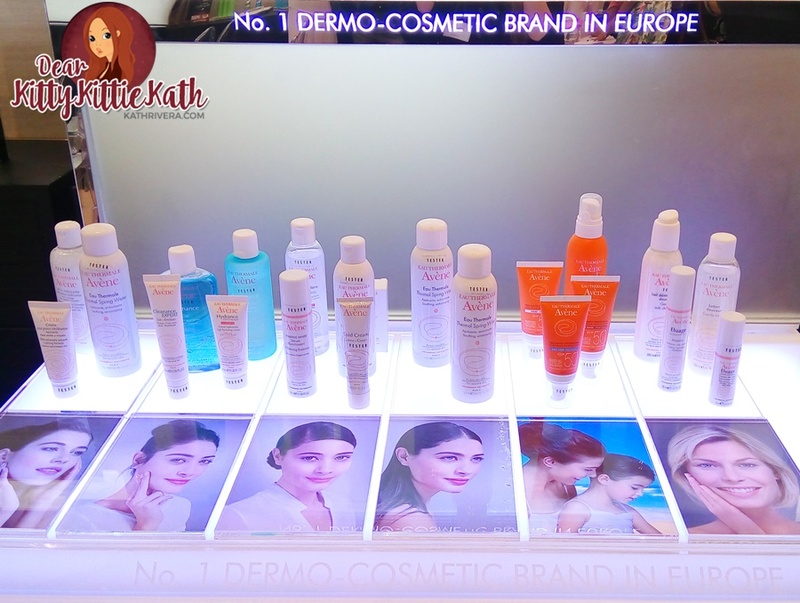 Eau Thermale Avène—the leading dermo-cosmetic brand in Europe launched Cleanance EXPERT, a daily treatment which targets unwanted spots and blackheads. 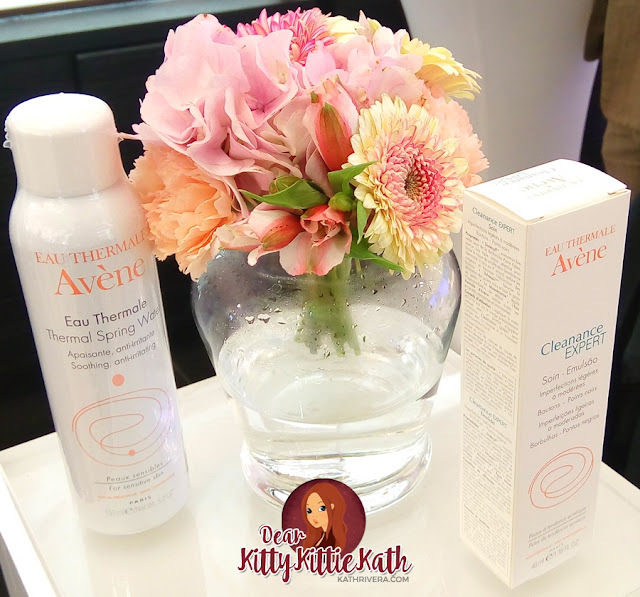 The exclusive distributor of Eau Thermale Avène products in the Philippines- Karihome Inc's General Manager Harry Tsai shared that acne usually takes a toll on a person’s self-esteem. Some even avoid going out with altogether or meet new people. These situations are very alarming according to him. But with the Avène Cleanance EXPERT products, people with acne-prone skin can finally have the confidence to face people. Reasons why the new Cleanance EXPERT products are perfect for individuals suffering from mild to moderate acne? This line is especially made for acne-prone skin, eliminating mild to moderate blemishes. This acne treatment solution also hydrates and mattifies the skin minimizing shine. This is safe for use by people with sensitive skin and that makes Avene a trusted brand by doctors and pharmacists. Eau Thermale Avène’s Cleanance EXPERT is specifically formulated using three active ingredients: Diolényl which limits the risk of bacterial proliferation, reduces redness and helps eliminate spots; X-Pressin which reduces blackheads and smoothens the skin’s texture; and Monolaurin which regulates the hyperproduction of sebum to create a matte finish. It’s oil-free light emulsion is very easy to apply. Quickly absorbed, it leaves the skin feeling hydrated and mattified. It makes a good make-up base. Rich in ATSW known for its soothing and anti-irritating properties, it will perfectly respect the balance of your skin. 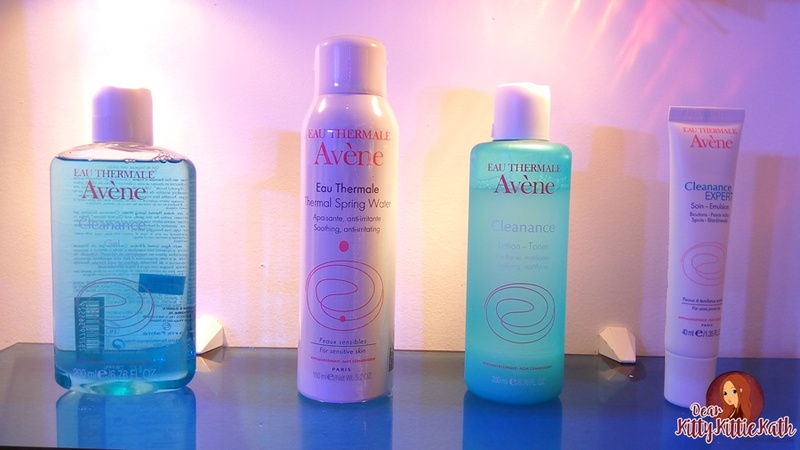 The primary ingredient in Eau Thermale Avène product is the thermal spring water. It is the main ingredient that soothes, softens and restores the skin's natural balance. In fact, there more than 300 studies that prove the healing properties of thermal water. This core ingredient has been used for centuries at the Avène Hydrotherapy Center to address even the most severe dermatological conditions like atopic dermatitis, psoriasis, ichthyosis and burns. During the event, the Avène Cleanance EXPERT team invited a dermatologist to explain further the importance of knowing the right kind of products in treating acne. Dr. Blossom T. Chan of Philippine Dermatological Society explained to us that there are important steps in treating and maintaining an acne free skin. It is important to use non-comedogenic products like gel cleansing/facial wash which is best for oily/acne prone skin, use an alcohol-free toner to nourish and prep the skin then apply a serum or spot treatment cream to blemishes. The Cleanance skincare line includes the flagship products like Cleansing Gel and Mattifying Toner. 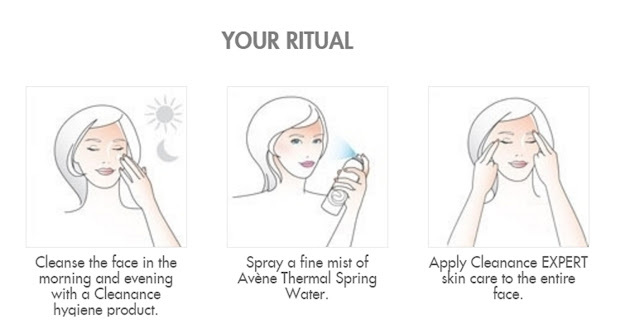 The Avène Thermal Spring Water is a MUST! It works in all skin types and for all ages too! Eau Thermale Avène is available in selected Watsons and Mercury Drug stores. The Avène Thermal Spring Water is a MUST! It works in all skin types and for all ages too!